Individuals carrying variants of the transcription factor 7-like 2 gene (TCF7L2) are at increased risk for type 2 diabetes. These metabolic genetic risk factors have been linked to diminished pancreatic islet-cell responsiveness to incretins, thus pharmacological interventions aimed at amplifying endogenous incretin biology may be affected. However, clinical evidence from randomised controlled trials so far is lacking. We investigated the influence of TCF7L2 risk alleles on the response to treatment with the dipeptidylpeptidase-4 (DPP-4) inhibitor linagliptin from four 24 week, phase III, placebo-controlled trials. Pharmacogenomic samples and clinical data were available from 961 patients with type 2 diabetes. Whole-blood DNA samples were genotyped for TCF7L2 single-nucleotide polymorphisms in conjunction with assessments of 24 week changes in HbA1c. Linagliptin lowered HbA1c meaningfully in all three genotypes of rs7903146 (non-risk variant carriers CC [n = 356]: −0.82% [−9.0 mmol/mol], p < 0.0001; heterozygous CT [n = 264]: −0.77% [−8.4 mmol/mol], p < 0.0001; homozygous risk variant carriers TT [n = 73]: −0.57% [−6.2 mmol/mol], p < 0.0006). No significant treatment differences were seen between CC and CT patients, although HbA1c response was reduced in TT compared with CC patients (~0.26% [~2.8 mmol/mol], p = 0.0182). Linagliptin significantly improved hyperglycaemia in patients with type 2 diabetes both with and without the TCF7L2 gene diabetes risk alleles. However, differences in treatment response were observed, indicating that diabetes susceptibility genes may be an important contributor to the inter-individual variability of treatment response. The online version of this article (doi: 10.1007/s00125-014-3276-y) contains peer-reviewed but unedited supplementary material, which is available to authorised users. Diabetes is a fast-growing global epidemic with an increasing prevalence worldwide . Several genes have been associated with type 2 diabetes susceptibility or manifestation, including genes encoding receptors, transcription factors, cell cycle-associated proteins, modifiers of signal transduction, ion channels and others [2, 3, 4]. Recently, single-nucleotide polymorphisms (SNPs) of a gene encoding transcription factor 7-like 2 were shown to have the strongest known genetic risk factor for type 2 diabetes among all diabetes-associated gene SNPs [5, 6]. The risk of developing diabetes is twice as high in homozygous TCF7L2 risk variant (rs7903146) carriers (TT) compared with non-risk carriers (CC) [7, 8]. The initial findings have been replicated in independent studies in multiple ethnic populations and were summarised in a large global meta-analysis . Pharmacogenetic studies reported a significant association between TCF7L2 risk variants and efficacy of sulfonylurea treatment, with a twofold greater likelihood of sulfonylurea treatment failure in TCF7L2 risk carriers . The mechanisms by which TCF7L2 polymorphisms increase diabetes risk and affect the treatment response to insulin secretagogues were thought to be related to impaired incretin-induced insulin secretion, impaired suppression of glucagon or impaired glucagon-like peptide-1 secretion [10, 11, 12, 13]. Depending on the underlying mechanism, the response to other insulin secretagogues, such as the novel class of dipeptidylpeptidase-4 (DPP-4) inhibitors, also may be affected. Incretin hormones amplify the first phase of insulin secretion . The advantage of incretin-based therapies, like orally active DPP-4 inhibitors, is that they have a glucose-dependent insulinotropic action with no intrinsic risk for causing hypoglycaemia. 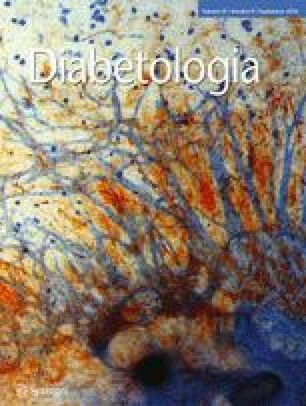 Linagliptin, a potent and selective inhibitor of DPP-4, improves glucose homeostasis in patients with diabetes by blocking the degradation of incretins and thus improving insulin secretion in a glucose-dependent manner [15, 16]. Linagliptin has been approved for the treatment of patients with type 2 diabetes [16, 17]. Since linagliptin and the high-risk polymorphisms of TCF7L2 both affect the same process responsible for the first phase of insulin secretion, it can be hypothesised that the response to linagliptin therapy may differ in patients depending on their allele status. Therefore, we wanted to explore whether the efficacy response to linagliptin (i.e. change from baseline in HbA1c or change from baseline in 2 h postprandial plasma glucose [PPG] after 24 weeks of treatment) is dependent on the TCF7L2 genotype in a retrospective analysis of clinical data. We conducted analyses of data from four phase III clinical trials—NCT00601250 , NCT00602472 , NCT00621140  and NCT00641043  (www.clinicaltrials.gov)—that evaluated the safety and efficacy of linagliptin, as monotherapy or in combination with other glucose-lowering therapy, in improving glycaemic control in patients with type 2 diabetes (Table 1). Patients were on stable doses of diabetes medications or, for NCT621140, on no medications except for linagliptin or placebo. Out of a total of 2,651 patients randomised to different arms in the four trials, 987 patients gave informed consent for pharmacogenomic analyses. Both clinical and pharmacogenomic data needed for the current analyses were available for 961 patients, of which 693 were treated with linagliptin and 268 received placebo (Fig. 1). Depending on the trial, patients continued to receive other glucose-lowering medication in accordance with the objectives of that trial. Demographic and baseline characteristics of the patients included in these analyses are given in Table 2. The primary clinical endpoint in all four studies was change in HbA1c (%) from baseline after 24 weeks of treatment, defined as difference between HbA1c (%) at 24 weeks and HbA1c (%) at baseline. A secondary objective in studies NCT00601250  and NCT00621140  was change from baseline in 2 h PPG. DNA was extracted from whole-blood samples and normalised to a standard concentration of 50 ng/μl. In addition, 92 blinded DNA samples from the same study were used to validate the detected genotypes. Locus-specific DNA fragments were amplified by PCR with 50 ng genomic DNA and 5 μmol/l each of forward and reverse primers. Purified PCR products were sequenced using the Sanger method  in a reaction containing 2 μmol/l sequencing primer and BigDye Terminator v3.1 (Life Technologies, Carlsbad, CA, USA). The sequencing primers were selected to detect the presence of the following TCF7L2 variants in the sample: rs7903146 (C > T; intron), rs12255372 (G > T; intron), rs10885406 (A > G; intron) and rs731788 (C > G; near 3' region microRNA binding site). Data were pooled from all randomised patients from the four trials listed (Table 1) who were treated with at least one dose of study medication, had baseline measurements of HbA1c, had at least one measurement of HbA1c while on treatment, had genetic polymorphism data available and passed the genetic mismatch quality control criteria. If the HbA1c data after 24 weeks of treatment were not available, the last observed data point was carried forward for the analysis. The homogeneity of the treatment effect on the primary endpoint change in HbA1c (%) from baseline after 24 weeks in the genotype subgroups was investigated using an ANCOVA. Baseline HbA1c was the linear covariate, while washout period for prior oral glucose-lowering therapy (yes/no), treatment-genotype group (genotype groups CC, CT and TT for patients treated with linagliptin and the placebo group), race and study were set as fixed classification effects. Pairwise comparisons between homozygous non-risk (CC) and heterozygous risk (CT) or homozygous risk (TT) variant carriers receiving linagliptin as monotherapy or in combination with other anti-hyperglycaemic agents were also performed. To evaluate how representative the subgroup of patients with available pharmacogenomic data was with respect to their response to linagliptin therapy, the results obtained from these analyses were compared with those from the corresponding ANCOVA analyses on the pooled clinical data from all patients in the four studies. Demographic variables and baseline characteristics of the genotyped subpopulation were tested for differences between treatment–genotype groups (genotype groups CC, CT and TT for patients receiving linagliptin, and the placebo group) by χ 2 test, Fisher’s exact test or ANOVA. Additional analyses were performed to address the potential influence of study, demographic and baseline characteristics by subgroup analyses as well as by incorporating them as additional factors or covariates into the ANCOVA model. Sensitivity analysis to investigate the impact of the last observation carried forward (LOCF) imputation was performed using only observed cases. SAS version 9.2 (SAS Institute, Cary, NC, USA) was used for all analyses. Demographic variables and baseline characteristics were tested for differences between treatment–genotype groups (genotype groups CC, CT and TT for patients receiving linagliptin, and the placebo group). A significant difference was observed only for race (p < 0.0001) due to different frequencies of the TCF7L2 risk allele in different ethnicities (see Table 3), so race was included into the ANCOVA model. The observed slight differences for baseline weight (p = 0.0443) and BMI (p = 0.0518) had no influence on the results when including them additionally into the ANCOVA model. The allelic and genotype frequencies of the various TCF7L2 polymorphisms were determined for the cohort of consenting patients and the data categorised by race. The data for SNP rs7903146, which has the strongest association with type 2 diabetes, are shown in Table 3. The minor allelic frequency for the T allele was highest among white patients (34.3%) and lowest among Asian patients (18.5%), with black patients falling in the middle (20.0%). Homozygous TT occurred in 12.1% of white and 6.0% of Asian patients, but was absent in the black patients (Table 3), possibly owing to the low number of black patients participating in these studies. The observed frequencies in the white and Asian patients are concordant with publicly available allele and genotype frequencies [23, 24]. Results for the other polymorphisms and haplotypes were similar to those for rs7903146 (data not shown). To determine whether the subgroup for which genomic analysis was performed was representative of the population of patients who participated in all four trials, the clinical response observed for the subgroup was compared with that of the whole patient population (Fig. 2). The clinical responses to treatment with linagliptin or placebo in the subgroups for which pharmacogenomic data were available were essentially identical to those of the corresponding treatment groups in the whole cohort of patients from the four clinical trials—reduction in HbA1c was similar in the two groups treated with linagliptin and HbA1c did not change from baseline in the two groups receiving placebo. These results suggest that the pharmacogenomic subgroups were representative of the entire pooled patient population. To address possible differences between the trials, we analysed each trial separately as well as in a pooled analysis again, incorporating additionally the study-by-treatment–genotype group interaction effect in the ANCOVA model. No significant heterogeneity of effects across the trials was observed. Detailed information and results of ANCOVA for each specific trial in comparison to the whole study population are given in electronic supplementary material (ESM) Table 1. Based on TCF7L2 rs7903146 genotype, patients receiving linagliptin therapy were categorised into three groups: CC (homozygous non-risk allele carrier), CT (heterozygous) and TT (homozygous risk allele carrier). The strongest, almost identical, response to linagliptin therapy (i.e. lowering of HbA1c) was observed in patients with homozygous CC (n = 356; p < 0.0001) and heterozygous CT (n = 264; p < 0.0001) genotypes with a decrease of 0.82% (9.0 mmol/mol) and 0.77% (8.4 mmol/mol) in HbA1c, respectively, compared with baseline (Fig. 3). A less robust, but still statistically (p = 0.0006) and clinically significant, decrease of 0.57% (6.2 mmol/mol) in HbA1c in response to linagliptin therapy after 24 weeks was observed in patients who were homozygous TT (n = 73). The difference in response to linagliptin therapy between homozygous TT patients and homozygous CC patients was statistically significant (p = 0.0182). The comparison of the number of patients in LOCF analyses vs the number of patients with observed 24 week data indicate that we have >80% observed cases in the linagliptin-treated group and >70% in the placebo group. The results, based only on observed cases, showed a significant difference of ~0.23% (p = 0.0392) between linagliptin-treated homozygous TT and non-risk-carrier CC patients and this is in concordance with the results obtained in the analyses for the LOCF set. Patients receiving placebo showed an increase from baseline in 2 h PPG levels with a mean rise of 2.13 mmol/l (ESM Fig. 1), which is likely related to the washout of previous glucose-lowering agents in the two clinical studies NCT00601250  and NCT00621140 . This was in accordance with an increase in HbA1c levels in the placebo group in those two studies. Similar to the observed HbA1c levels after treatment, all patients treated with linagliptin showed a decrease from baseline in 2 h PPG levels after 24 weeks. Patients homozygous for the wild-type allele (CC) showed the greatest decrease from baseline in 2 h PPG levels, with a mean decrease of 2.78 mmol/l. Although there was greater variability in patients heterozygous for the risk allele (CT), the reduction from baseline in 2 h PPG levels was similar to that observed in the homozygous CC patients, with a mean decrease of 2.55 mmol/l. Patients homozygous for the risk allele (TT) showed the smallest decrease from baseline in 2 h PPG levels (1.65 mmol/l), although it should be noted that only a few patients’ data (n = 6) was available for this group. The present studies have been undertaken to assess the impact of TCF7L2 genotypes on the response to incretin-based therapy, for the first time in a longitudinal setting. This is important because genetic polymorphism has been suggested to contribute to the susceptibility of individuals to environmental stimuli, resulting in increased prevalence of diabetes. Of the many genes investigated, TCF7L2, a β-catenin bipartite transcription factor, integral to the upregulation of incretin secretion from intestinal endocrine L cells and the proliferation of pancreatic beta cells [25, 26, 27], has the strongest known association with diabetes [5, 6]. The high-risk genotypes of TCF7L2 SNPs rs7903146 and rs12255372 are strongly associated with reduced insulin secretion, possibly owing to impaired response to incretins [10, 11] and impaired beta cell function [10, 12, 13]. Accordingly, we tested the hypothesis that the efficacy response to linagliptin therapy, which acts via inhibition of incretin degradation, may be reduced in patients with type 2 diabetes who have high-risk TCF7L2 genotypes. It is possible that these individuals may be genetically predisposed to produce and secrete less incretin or have an impaired incretin response compared with those with wild-type genotype. As expected, in the pooled analyses, the HbA1c levels of patients showed no change from baseline when administered placebo. In response to treatment with linagliptin, wild-type homozygous patients exhibited a robust −0.82% (−9.0 mmol/mol) reduction from baseline in HbA1c levels (p < 0.0001). In contrast, the response to treatment with linagliptin in patients who were homozygous for the risk allele was reduced (−0.57% [−6.2 mmol/mol] decrease from baseline in HbA1c on average; p < 0.0006), but still clinically meaningful (>0.5% [>5.5 mmol/mol] decrease). Similar to the observations for HbA1c, homozygous wild-type patients treated with linagliptin showed a decrease in 2 h PPG levels compared with patients receiving placebo. Heterozygous patients exhibited a response similar to that observed for homozygous wild-type patients and homozygous risk carriers (TT) showed the least decrease from baseline in 2 h PPG levels. However, the number of patients in each of these groups was small and probably not sufficient to allow meaningful conclusions to be made. The observed differences in linagliptin efficacy response of ~25% between TCF7L2 homozygous risk carriers (12% of whites) and non-risk carriers are in line with previous data of an association of TCF7L2 and sulfonylurea response . This would support the recent postulation by Schäfer et al  that TCF7L2 variants are associated with a functional defect in the beta cells. Considering that the efficacy response to linagliptin in the TT carriers was clinically relevant, it is intriguing to speculate that a stronger loss of efficacy than that observed in this investigation would have been expected in homozygous carriers if a specific incretin-related defect was present. Based on present data, this cannot be ruled out. Another possibility for the lack of a more pronounced effect may be that polymorphisms in a single gene may not be sufficient to produce a significant change in a patient’s response to a DPP-4 inhibitor. Variants in additional genes could potentially contribute to inter-individual variability in response, and combined analyses of several risk genes for type 2 diabetes implicated in the regulation of beta cell function may further help explain the variability of efficacy response to insulin secretagogues. The study has some limitations, mainly related to the relatively small sample size. This was addressed by combining the data from four clinical trials. However, we cannot completely rule out the influence of co-medication. The fact that we did observe the same trend for the differences in response to linagliptin treatment between CC wild-type and TT risk carriers by analysing each trial with different background therapies separately, supports our hypothesis. In addition, a disease–genetic process in TCF7L2 carriers could contribute to the effect, but the change in HbA1c level from baseline in the placebo groups did not reveal differences between CC and TT risk allele carriers, indicating a pharmacogenetic effect. Nevertheless, results must be interpreted with some caution and should ideally be confirmed in a second cohort. Since linagliptin was the only DPP-4 inhibitor evaluated, it is unknown whether or not these observations are specific to linagliptin or whether they can be regarded as a class effect. In conclusion, to our knowledge, these are the first studies testing the impact of TCF7L2 genotype on the response to incretin therapy (DPP-4 inhibitor) in a longitudinal cohort. Our analyses demonstrate for the first time that although the clinical response to the DPP-4 inhibitor linagliptin was somewhat attenuated in homozygous TCF7L2 risk carriers, this treatment results in a clinically meaningful glucose-lowering potency, even in homozygous high-risk allele carrier patients. This study was supported by Boehringer Ingelheim, Germany. The authors were fully responsible for all content and editorial decisions, were involved at all stages of manuscript development and approved the final version. Medical writing assistance, supported financially by Boehringer Ingelheim, was provided by M. Nori, Envision Scientific Solutions, Southport, CT, USA during the preparation of this manuscript. HZ, CI, UGM, MM, HJW and KAD are all employees of Boehringer Ingelheim. BOB declares that there is no duality of interest associated with his contribution to this manuscript. HZ participated in study design, researched data and participated in writing the manuscript. CI researched data, performed statistical analyses and reviewed and edited the manuscript. UGM participated in study design, researched data, contributed to the interpretation of the data and participated in writing the manuscript. BOB contributed to the study design and discussion and reviewed and edited the manuscript. MM contributed to the discussion and interpretation of the data and reviewed and edited the manuscript. HJW participated in the study design, contributed to the discussion and interpretation of the data and reviewed and edited the manuscript. KAD initiated the scientific investigation, participated in the study design, contributed to the discussion and interpretation of the data and reviewed and edited the manuscript. All authors gave their approval to the final version of the manuscript. HZ is the guarantor of this work and as such, had full access to all the data in the study, and takes responsibility for the integrity of the data and the accuracy of the data analysis.